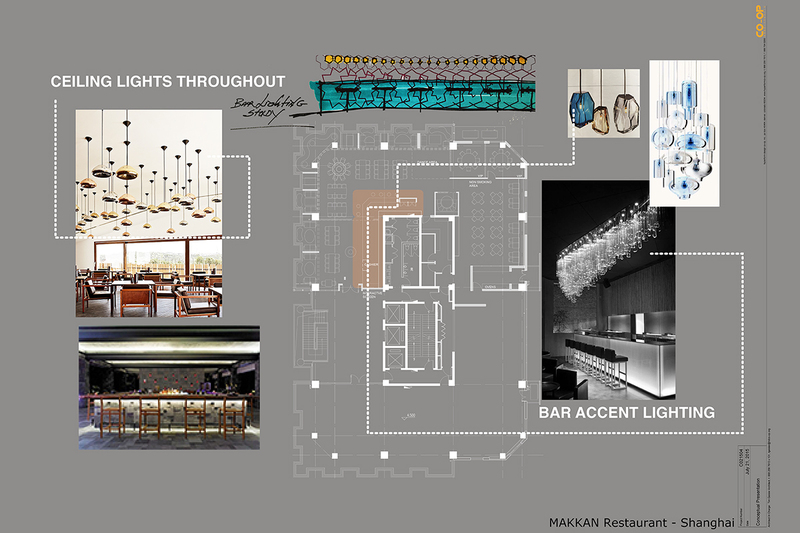 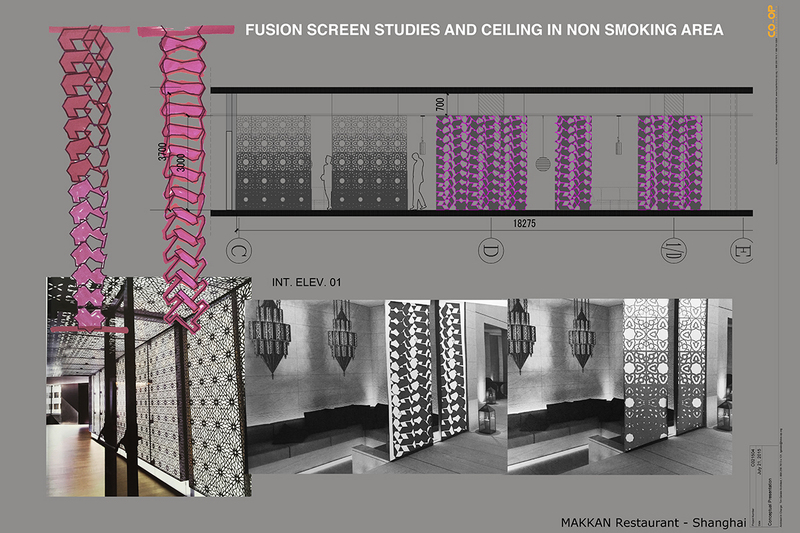 Inspired by the memory of travel and food, this restaurant’s design stems from fusion of middle eastern and Chinese patterns. 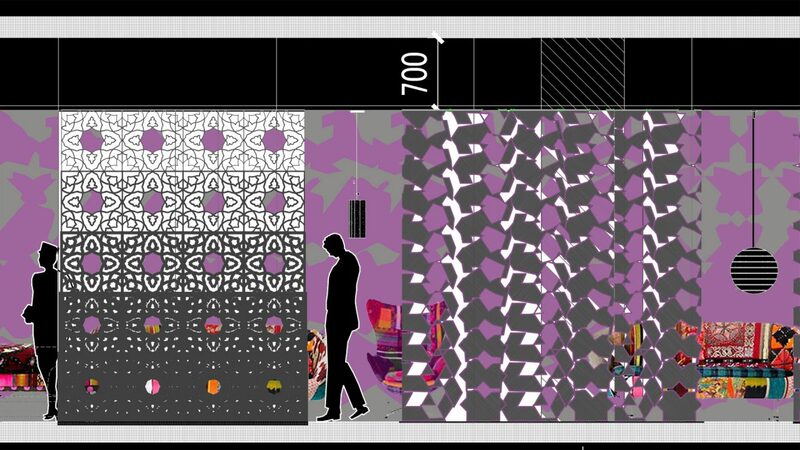 Applying the transformation of abstracted shaped of primary geometries the interior partition screens are designed to provide privacy in the dining niches. 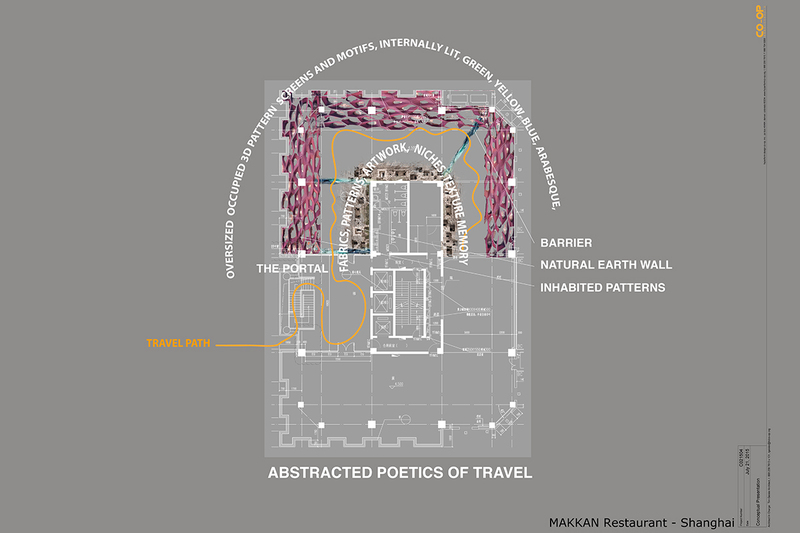 The core of the restaurant inspired by the cave carvings of the deserts of Xinjiang serves as a memento wall providing for art work niches and application of textured natural stone. 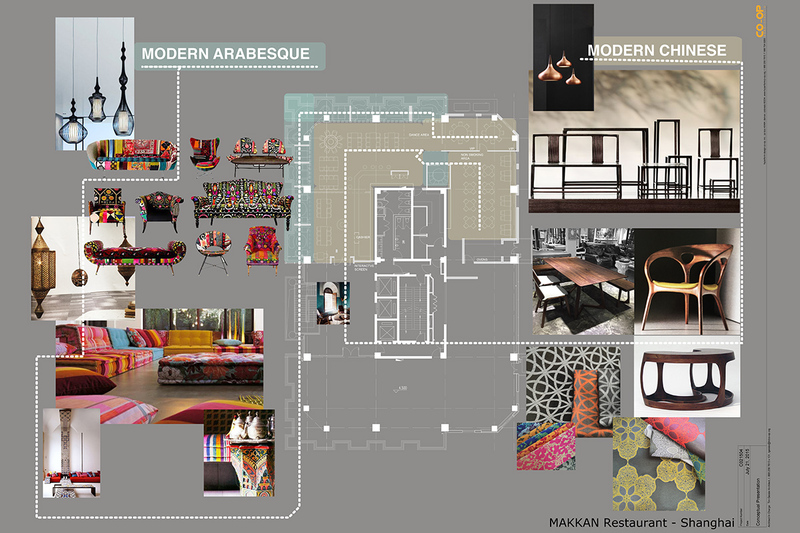 The furniture, lighting and fabric selection palette is a contemporary interpretation of traditional Middle Eastern and Chinese craft and design.